Drive down any Idaho highway and you’re sure to be amazed. With a landscape that ranges from sub-alpine to desert, lakes and waterfalls to canyons and fertal farms, Idaho is a study in geographic diversity. It is evident to the observer that the people of Idaho have a lot to be proud of, and that they are taking care of their piece of America. They even design their landfills to be aesthetically pleasing and are now taking it a step further by insuring they don’t pollute the environment. Methane gas created by decomposing garbage has a negative reputation with all those concerned about the environment. Municipal solid waste landfills are the largest human-generated source of methane emissions in the United States. Methane is a very potent greenhouse gas that is a key contributor to global warming. The gas is created when waste in a landfill decomposes. It is about 50 percent methane, also known as natural gas, and 45 percent carbon dioxide. 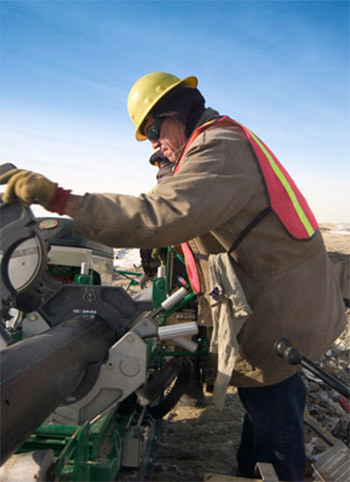 Increasingly, the gas is being seen as a positive byproduct for landfill managers. Instead of allowing landfill gas to escape into the air, or burning it off, the gas can be captured, converted, and used as an energy source. The Solid Waste Management Department of Ada County, located just north of Boise, Idaho, is doing just that. 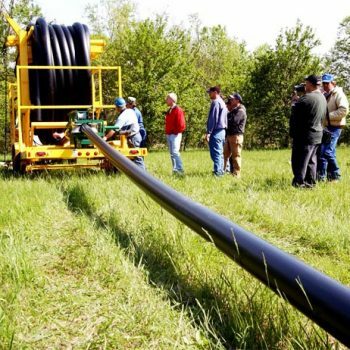 They are using a pipeline grid made of polyethylene pipe to gather methane that will soon be providing energy to 24,000 homes in the area. The landfill is one of 335 methane conversion plants operational in the U. S. with 500 more listed as candidates for the U.S. Environmental Protection Agency Landfill Methane Outreach Program (LMOP). LMOP is a voluntary assistance program that helps to reduce methane emissions from landfills by encouraging the recovery and use of landfill gas as an energy resource. 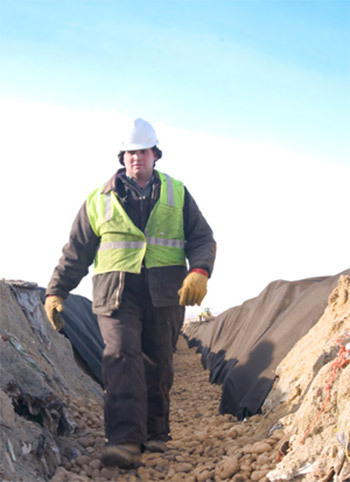 The LMOP forms partnerships with landfill owners, utilities and power marketers to overcome barriers to project development. It helps them assess project feasibility, find financing, and market the benefits of project development to the community. EPA launched the LMOP to encourage productive use of this resource as part of the United States’ commitment to reduce greenhouse gas emissions under the United Nations Framework Convention on Climate Change. Using the gas helps to reduce odors and other hazards associated with landfill gas emissions, and it helps prevent methane from migrating into the atmosphere and contributing to local smog and global warming. 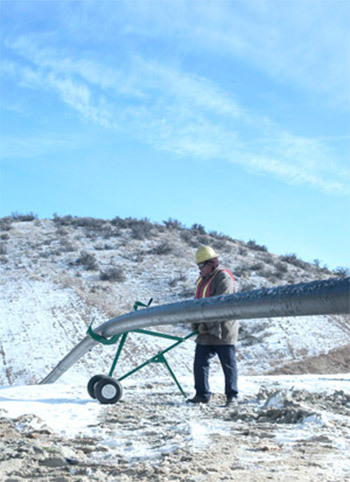 The methane recovery system is composed of 40,000 feet of polyethylene pipe (PE) that is being installed as the landfill is created. 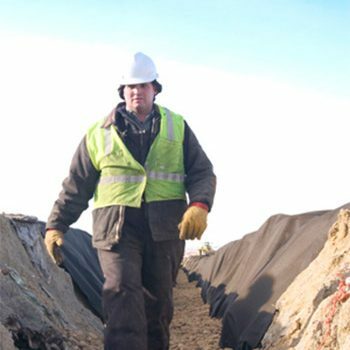 Horizontal ditches are placed 100 feet apart, lined with fabric and bedded with two inches of drain rock. The PE is fused together and perforated to allow the infiltration of gas. PE was chosen because it is resistant to the chemicals found in landfills and is expected to last for more than the 100 years that the landfill is expected to produce methane. 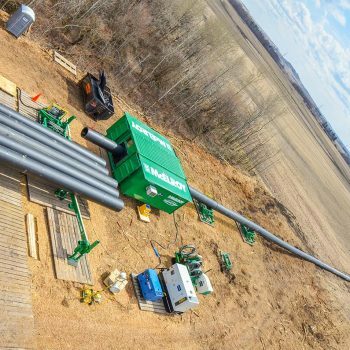 With every 20 feet of refuge, a new pipeline grid is fused together and laid out and another 20 feet of refuge piled on top. 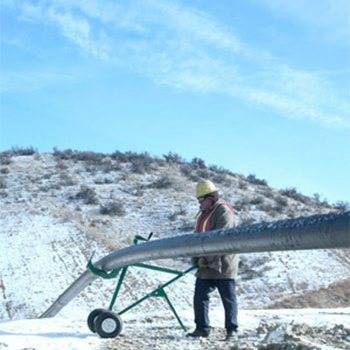 The gas in the landfill seeks the path of least resistance and enters the pipe through the perforation holes. The gas is then suctioned out and transported to generators to be converted to electricity. One of the most appealing aspects of the project is that once completed, the landfill will blend into the landscape of southern Idaho. The refuge hills may climb as high as 80 feet. They are then capped with a layer of dirt and planted with native vegetation. In the end, the landfill will look just like the surrounding terrain.